Lapis Lazuli, sometimes just referred to as Lapis, is know for the amazing deep blues and gold flecks within the stone. This pendant has all those qualities. 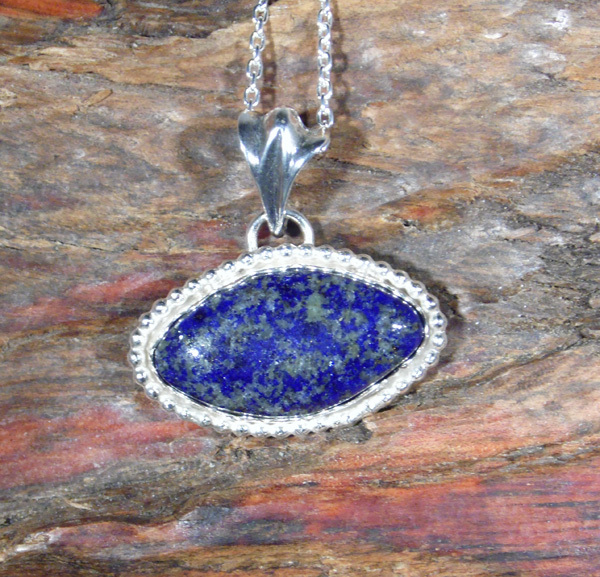 This oval Lapis pendant is wrapped in a Sterling Silver bezel. This pendant also includes an 18″ Sterling Silver chain. $59.00 including free shipping within the US. This pendant is approximately 1 /18″ wide, and 1 1/8 ” including the bail.